Liquor Store inventory order management software app built for owners, managers, and administrators. 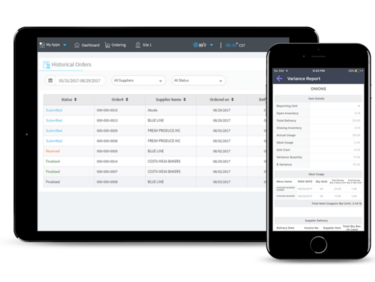 All of your inventory data from Zip Inventory is easily transferrable into the Zip Ordering system, making ordering easier than ever. This compatibility also allows for your inventory data to remain accurate within the context of your ordering system. Fewer hands means fewer mistakes. Decrease your overall likelihood for errors or mistakes with an integrated inventory tracker. When your ordering counts are more accurate, the actual orders you place will be more accurate. This helps to eliminate waste and better manage your stock levels. With Zip Ordering's many different reporting features, you can glean more in-depth insights into the rates at which you use certain inventory items. Not only will you have an easier time understanding your inventory usage, but you will also be able to see your data in terms of the cost of those items. Invaluable information in times of decision making. The Zip Ordering customer support team works diligently to provide not just top notch service, but to do so in a way that makes us feel like not just developers, but part of your restaurant team. One of the strongest assets to any Hubworks restaurant management system is the fact that it is designed as a mobile app. This allows for the most effective use of your time. Zip Ordering's cloud based system allows you to access your ordering data from any device, at any time, which is perfect for the emergency device crash, or if you need to check an order on the fly. We really do transcend expectations for how your inventory and ordering management process should go. 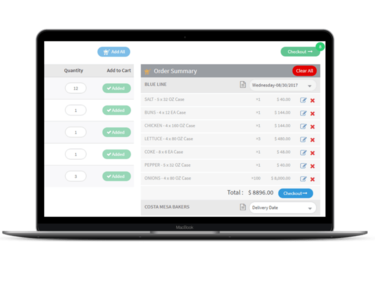 An inventory tracker like no other, Zip Ordering allows for the total elimination of the most cumbersome aspects of inventory and ordering management. An Incredibly valuable feature to you as an owner or administrator is the option to set up alerts when your inventory count for a specific item falls below a certain number. Ensure that you are always up to date and aware no matter where you are. None of these features are worth much if they're difficult to use. Not to worry, as this inventory and ordering tracker comes designed with one of the most easily managed user interfaces on the market. 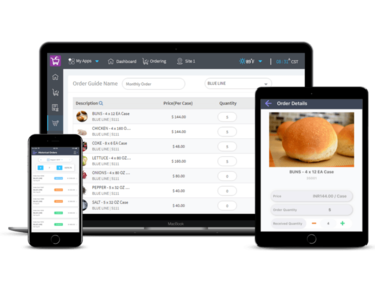 Whether you're an industry vet, or a newcomer, you will be able to use Zip Ordering with ease and confidence.